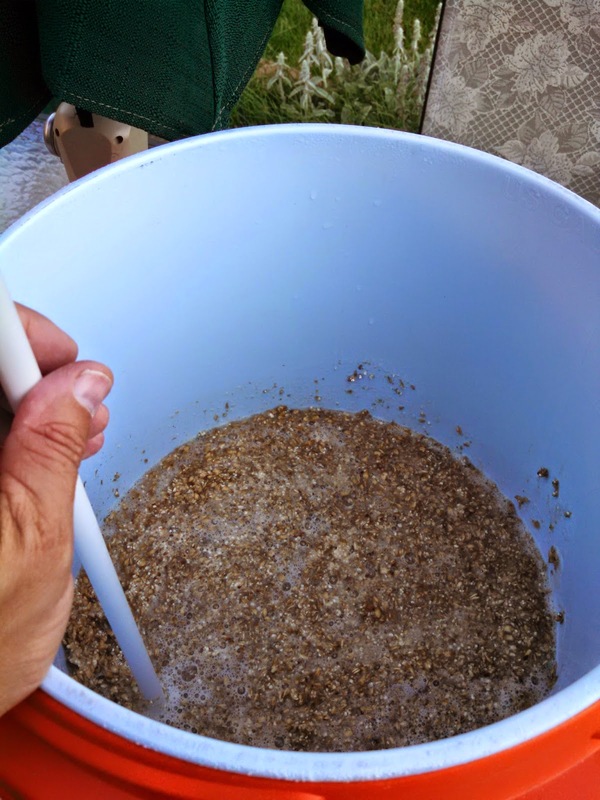 I started my brew day later than is typical for me. I got the day started about the time we had to leave for church, so this was one of my 2+hour mashes. I have not really found an advantage either way (long or regular time on the mshes) so I tend to just let them go as my schedule dictates. The sparge, then, was obviously after church. I first wort hoped this beer with 1/4 ounce Columbus hops. As always, if nothing else, the wonderful aroma of first wort hopping makes the technique worth it. Yum. I collected a bit more wrote than was planned so I ended up boiling a little longer. I did have a bit of a boil over because I was trying to get my kids set up to do lawn work. 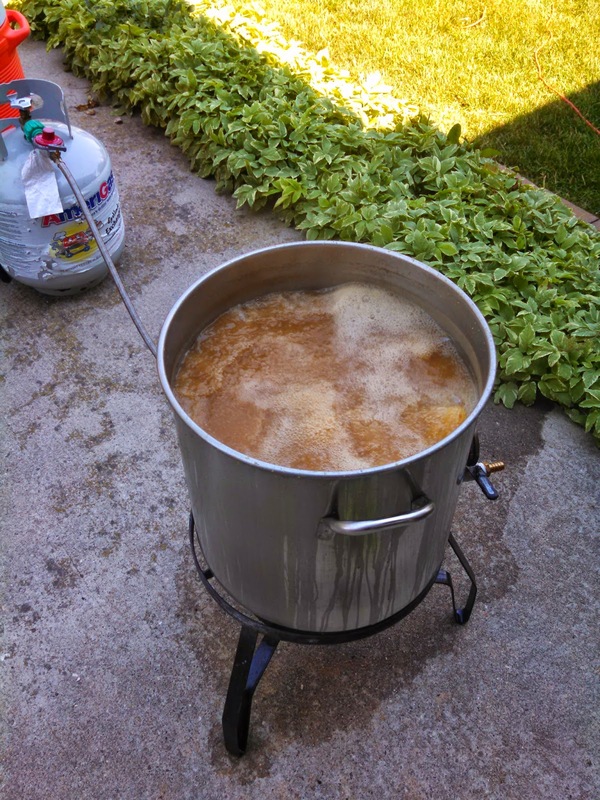 I knew at the time that I should have waited until the wort was at a boil. I just figured it would take less time to get them started than it did. It didn't seem to make too much of negative affect. If you took the time to compare the recipe to last time's recipe, you may have noticed that I added an extra ounce of hops and "whirl-pooled" it. I'm hoping this doesn't make it too hot for "Gretchen" and the Beer Model. I don't think it will. We'll see. 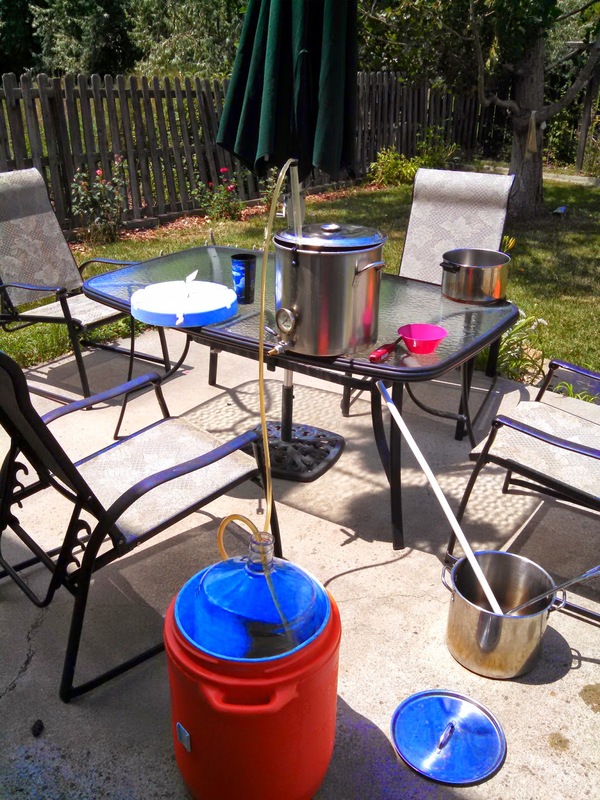 After the whirlpool, I chilled the wort to the upper 70s and then racked it into the carboy in a gott cooler filled with ice. 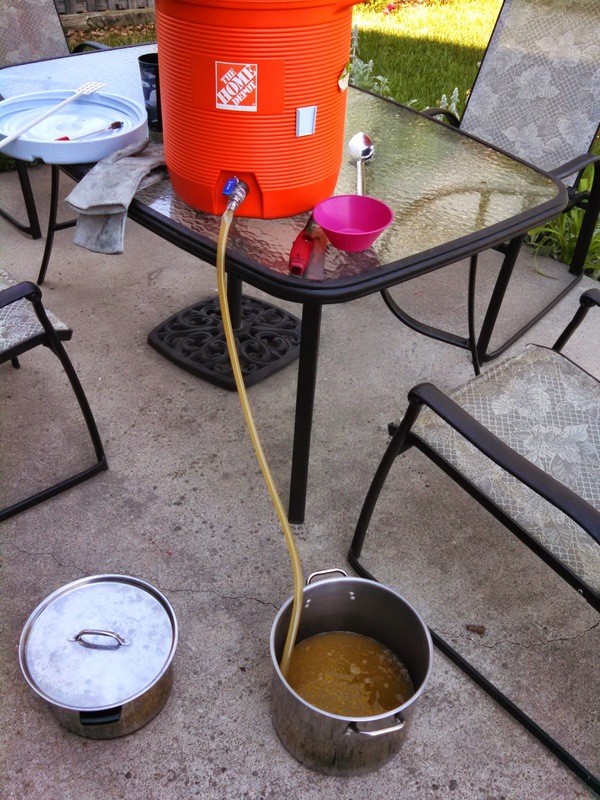 That sat in my basement (with the airlock in) until the wort was around 62 degrees. 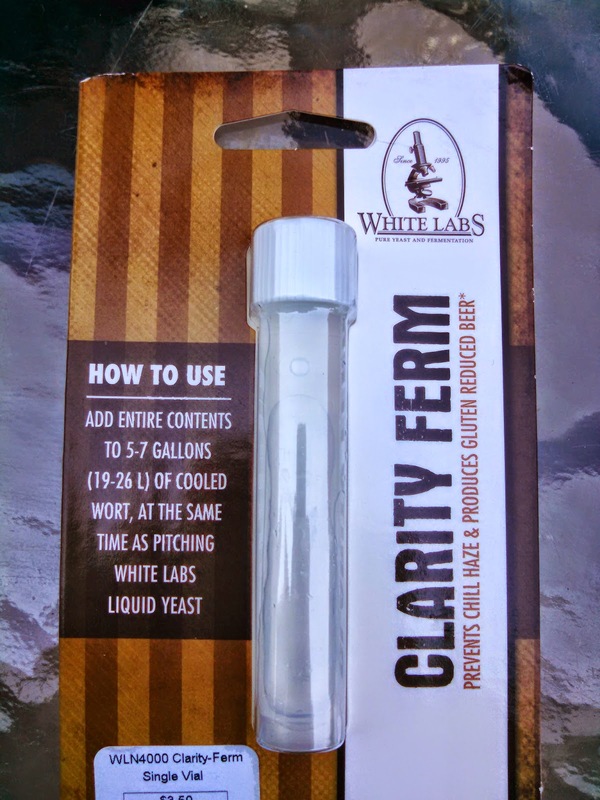 I pitched the yeast and added the "gluten killer". There was kraussen the next day. Things are bubbling asking well. This should be a pretty quick beer. I expect to be drinking it in about 3 weeks with "Gretchen", her husband, and the Beer Model.